Sandwiched between luxurious apartment buildings and multi-million-dollar gated homes in the quaint Jerusalem neighborhood of Nahlaot is a small, decrepit, 100-year-old house. The roof is caving in, the ceilings are infested with mold and the walls are peeling, but the owner, who asked to remain anonymous, has nowhere else to live. Diabetes and a heart condition had left this Jerusalemite dependent on welfare and dealing with a precarious living situation. He feared authorities would force him out of his structurally unsound home, but because of a family dispute he couldn’t sell it and lacked the funds to fix it. 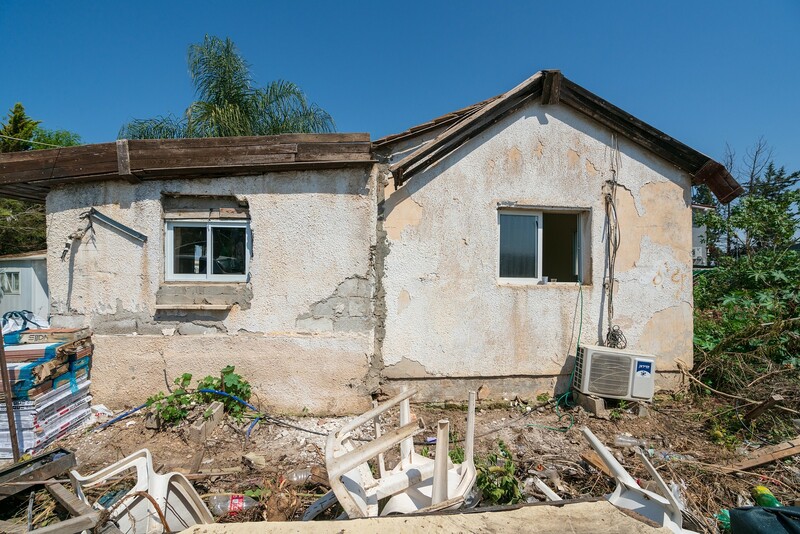 This summer, the Tenufa Bakehila organization — aka Building Hope — began repair and refurbishment work on the dilapidated home. “The ceiling was disintegrating,” said Yaron Arad, the project foreman. 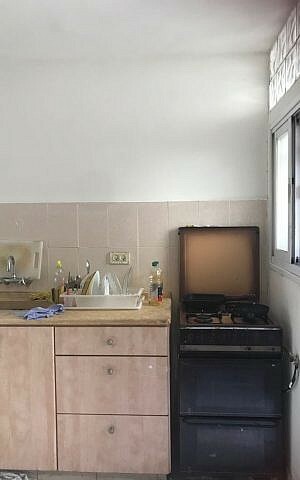 Tenufa Bakehila is the only nonprofit home repair organization in Israel. It has repaired 4,400 homes for needy families over the last 24 years, and a record-breaking 306 homes last year, said Gabi Nachmani, the organization’s executive director and founder. In addition to repairing homes, Tenufa Bakehila repairs families as well, and social services are probably the most important element of its daily work. The Nahlaot home was purchased by the current resident’s grandfather when he moved to Ottoman-era Palestine from Kurdistan. His father died when he was 13 and he grew up with five other family members sleeping together on three beds, arranged from head to toe. Nowadays it’s not as crowded, but the two residents who live there have other issues to resolve. The current resident shares the house with his elderly aunt, who owns and lives on the top floor while he owns and lives on the ground floor. He would like to sell their home but his aunt has repeatedly refused, worrying that if they sell, she won’t have anywhere else to live. So Tenufa Bakehila’s social worker, Abby Gast Strenger, stepped in to help the family resolve the conflict and come to a mutually beneficial outcome. She worked out a plan for the aunt and nephew to figure out a way to sell their property and divide the proceeds. Social workers from Tenufa Bakehila have the ability to spend more time with clients than state social workers, said Strenger. “Most social workers that are provided by the state have hundreds of cases to handle. They don’t have time to visit any one person’s home and aren’t able to see the full picture,” she said. Their services are so vital that social workers in underprivileged communities rely heavily on them, said Noga Fisher, who handles resource development and communications for the organization. Tenufa Bakehila can be more effective because it is present in the home, repairing damage and gaining the family’s trust. Nachmani founded the organization after working as a private contractor. 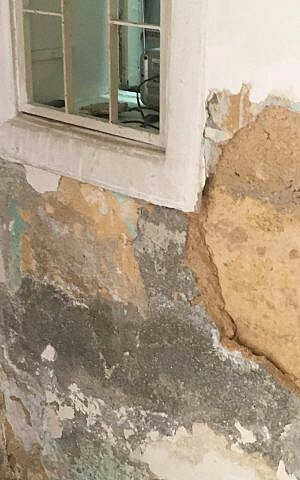 He often found himself fixing neighbors’ homes for free, if they couldn’t afford to pay someone for that service, continuing a practice he had grown up doing in his own Jerusalem neighborhood. 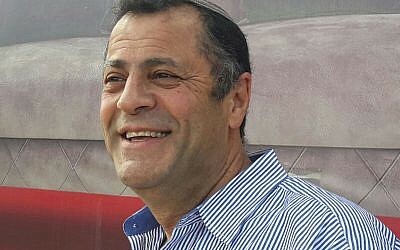 He later decided to establish Tenufa Bakehila, raising funds and hiring staff to renovate homes on a wider scale. His biggest challenge is fundraising. “Many municipalities want us to open a branch in their city, but what determines our ability to do that is money,” said Nachmani. While local municipalities rely heavily on Tenufa Bakehila, they don’t provide funding, said Nachmani, and much of the organization’s budget comes from private donors, while materials are often donated by local companies. 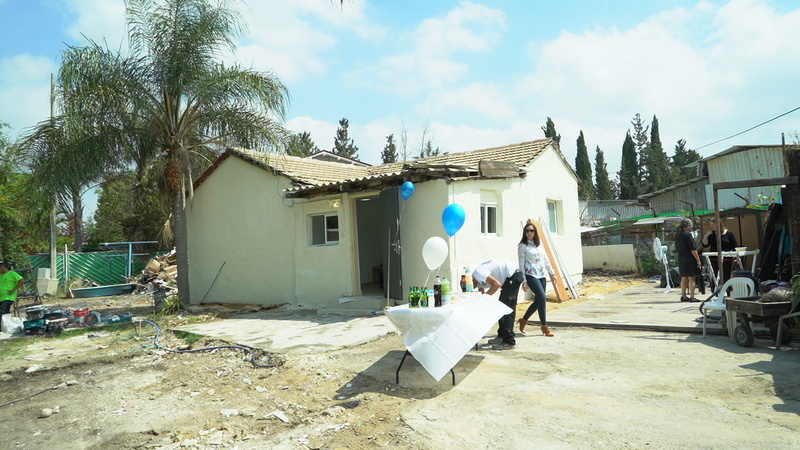 Its plans over the next five years include offering services in 20 additional cities — it’s currently active in Kiryat Gat, Kiryat Malachi, Binyamina, Hatzor, Beit Shemesh, Hadera, Or Akiva, Pardes Hanna, Ramla and Lod. in addition to Jerusalem — if it can raise a $1 million budget that would fund six professional teams, each consisting of two repair people and a social worker. For more information about Tenufa Bakehila, go to their website.